Janome is the world's largest manufacturer of sewing machines. 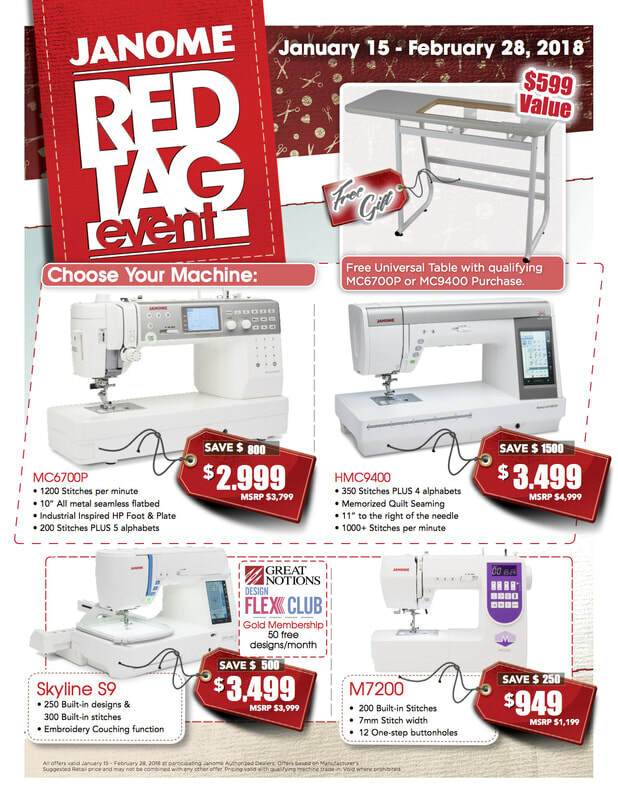 What makes Janome machines high quality? There are no plastic working parts! All the gears and motors are metal only. Janome makes all of their own machines. No shipped-in parts. The feed dogs (fabric handling system) on the machines are the benchmark of the sewing industry. Every Janome machine is designed to maximize your sewing experience, from the basic models to our the most sophisticated, interactive machines. Ease of operation, intuitive design, cutting edge technology, now professional results are at your fingertips! 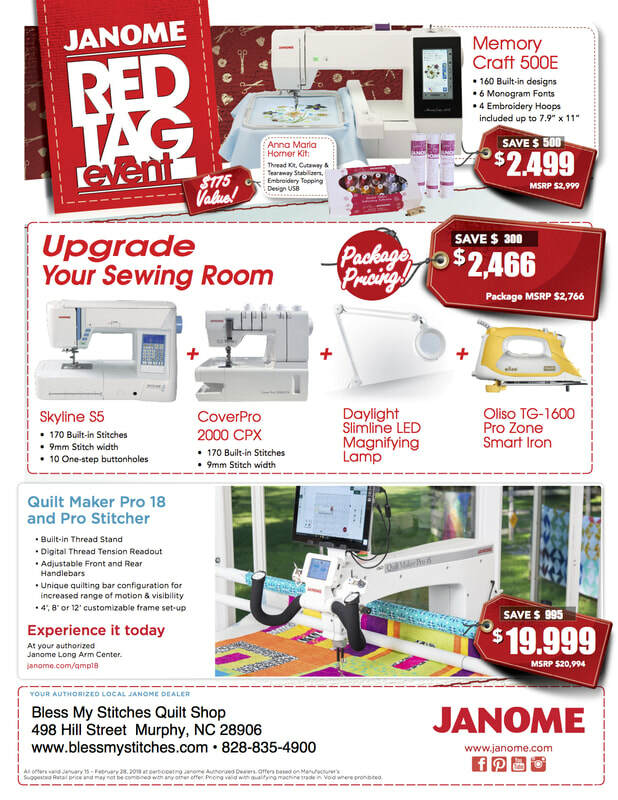 Just click the drop down menu on "Janome Dealer" to see some of what we have to offer!